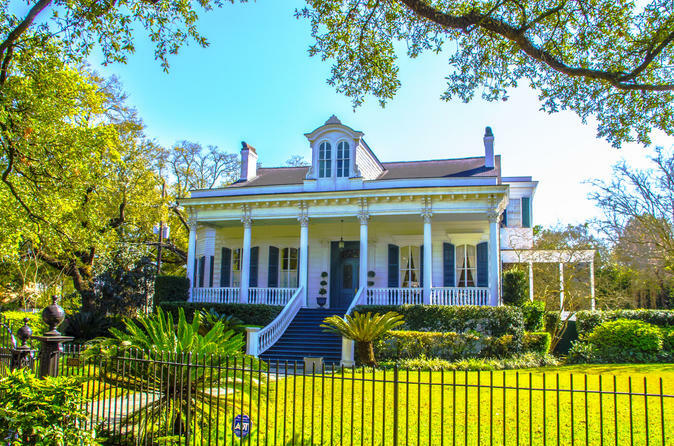 Get a perfect overview of New Orleans when you take this three hour private city tour. Sit back and enjoy riding under the radar in one of our 15 passenger vans. This is foolproof for any group size within 2 - 10 people. But if you're really comfortable with your group and don't mind sitting close this tour can be splendid for up to 12 people. This tour is ideal for anyone who doesn't want to share their driver/guides attention with anyone else, someone who knows they're going to want to spend more time in a specific area and anyone who would like to stop for pictures or a short stroll. We cover 30 miles of New Orleans on this tour. You'll see the French Quarter, Katrina Recovery, New Orleans Architecture, one of our unique above ground cemeteries and the Garden District. We have two tour times 10 AM - 1 PM or 2 PM - 5 PM. We can pick you up right in front of any New Orleans Metro Area hotel. We will drop you off back at your hotel or any Downtown New Orleans destination. Traveling via the tour van allows you to see so much more of the city since many other larger vehicles are not allowed to go deep into the French Quarter, the 9th Ward, or the Garden District. On this private tour, interaction is easy, since we operate with smaller vehicles. The environment here will allow you to sit back, relax, and feel comfortable. We love questions so please ask as many as you want. We can pick you up right in front of any New Orleans Metro Area Downtown/French Quarter/Warehouse District hotel. We will drop you off back at your hotel or any Downtown New Orleans destination. Some of the places you'll see include French Quarter, Jackson Square, Saint Louis Cathedral, French Market, Frenchmen Street, Marigny Neighborhood, ByWater, 9th Ward, Musician's Village, Treme Neighborhood, Esplanade Avenue, Bayou Saint John, City Park, Lake Pontchartrain, 17th Street Canal, 1 of 4 Hurricane Katrina Breach Points, Unique/Historic Above Ground Cemetery, Carrollton Avenue, Oldest Streetcar in the World, Saint Charles Avenue, Tulane and Loyola Universities, Uptown, Garden District, Famous/Historic Homes, Magazine Street, National WWII Museum, and the Arts/Warehouse District.